To work with motto of “Friendship, Philanthropic guide to the inherent talents of each student, to develop their skill and guide them to build all round personality with a aim of making them better citizens of the Nation”. The Medical College and hospital is located in the outskirts of Tumkur city – 6 km from the city amidst green field in a vast campus of 220 acres of the side of Bangalore – Honnavar National highway and it is just 76 Km from Bangalore city well connected by road and railway. The climate is similar to Bangalore.There are 21 buildings with built-in area of about 73,875 sq. mt at the cost of about Rs. 20 crores, which include furnished quarters for staffs. Separate buildings for Pre and Para-clinical departments, spacious library and information center and SSMC Hospital. SSMC Hospital has separate building for OPD and causality with independent departments of Medicine, Surgery, OBG, Ophthalmology, Orthopedics, Paediatrics, ENT, Dermatology, and Radiology. It is a 1350 bedded hospital, fully equipped with 12 major operation theaters in addition to minor operation theaters. SSMC is catering the needs of rural population. There are skilled doctors with specially trained nurses to give a healing touch to the patients. The Hospital building also has a post office and a bank to serve the needs of staff, students and the public. There is a canteen, hospital mess, fruit stall and a phone booth to cater the needs of the public. Siddartha Medical College,Tumkur offers various graduate courses as well as Post Graduate courses. 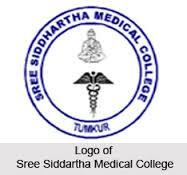 List of facilities available at Siddartha Medical College,Tumkur for students. This page was last modified on 29 September 2016 at 15:09.